Streets, stadiums, colour boosting architectural indoor lighting and miniaturisation. We have it all covered with our new product line-up. Read on to learn more. 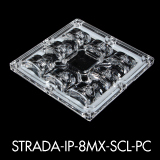 The 8MX series is part of our well established 2X2MX ecosystem with standardized 90 x 90 mm footprint, ingress protection and off-the-shelf luminaire components from selected partners. 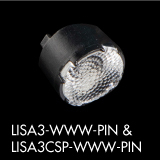 The lenses are designed for the popular 5050 LEDs and have great impact resistance. SCL and DWC2 beams are ideal choices for street and area lighting, while the WWW with around ~90-degree beam brings uniform lighting to industrial applications. Calling all sports fields. JENNY-FT45 is at home with big lights and big crowds. This asymmetric solution made from silicone is an ideal solution for large outdoor areas and can also be used with CSP LED clusters to maximize efficiency. 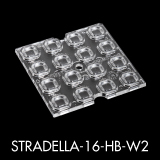 Improved ~90-degree version of the STRADELLA-16-HB-W for industrial and area lighting. 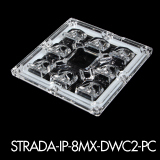 This new version has a batwing type light distribution with excellent cutoff with low glare. Spot, medium and wide beams in a 50 x 50 mm footprint. 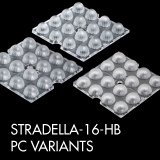 Packed with 16 individual lenses means STRADELLA delivers a lot of lumens from a small area. 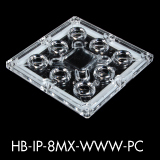 Lenses are made from polycarbonate and can be installed with only one screw in the middle. Bring on the colours! 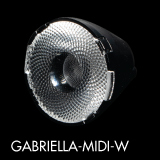 GABRIELLA-MIDI now shines wider than ever with our just released ~35-degree compact version. 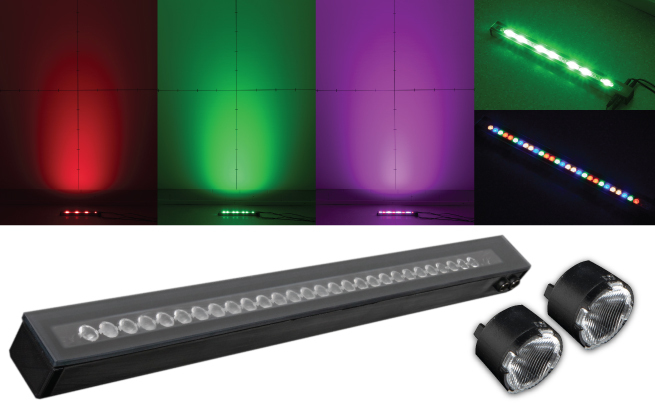 The uniform colour-mixing capabilities, combined with wide LED compatibility, ensures your architectural lighting projects will shine brightly for years to come. Compact elegant lighting for any indoor space. OLGA product family gets a new oval-shaped beam ideal for wall-grazing and corridor lighting. 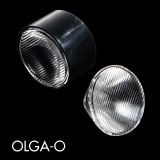 Get to know more about our complete range of OLGA lenses here. Tiny lenses with huge capabilities. 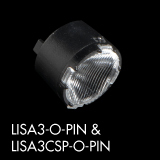 Our much improved LISA-series of lenses gets two new beams to widen your creative possibilities; an oval version for architectural lighting and WWW to achieve around ~60-degree light distribution.